Unquestionably the finest Lakefront property in North Queensland, it is surrounded by State Forests with 800 metres of direct waterfront. The manicured gardens with 80 year old wattle are reminiscent of English Parkland, you truly have to see for yourself the beauty of this property. The glistening waterways that surround this 18 acre property, can be taken in from every vantage point of the 2008 John Nott signature poll home. Meticulously renovated in a Hampton’s style to the highest quality this four bedroom, two bathroom home has a wrap around veranda, study, vast open living lounge and dining area complete with fireplace and new kitchen. 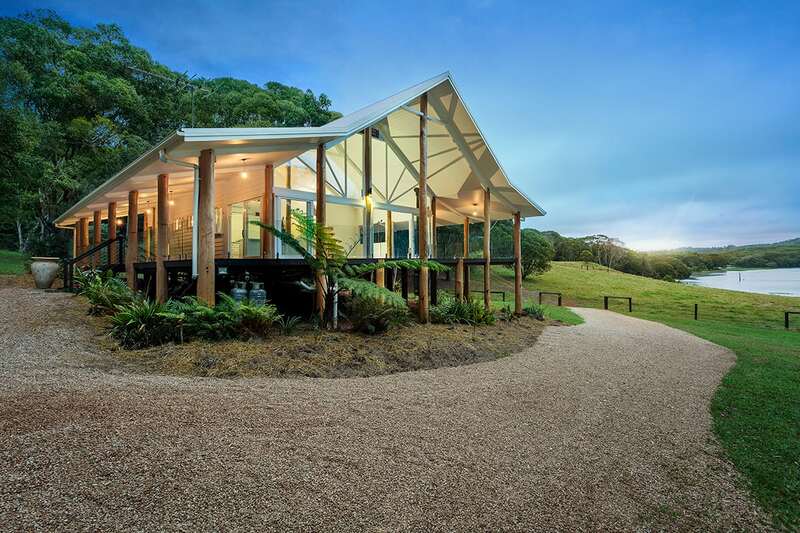 Lakeside is accessed through a rainforest driveway three kilometres from the main road. Power is provided by mains and or solar power with all the mod cons a discerning buyer would desire. Watermark Estate launched in 2018 is a 78 acre signature residential development on the shores of Lake Tinaroo in Far North Queensland. Surrounded by State Forests this landmark development provides four generous 18 acre lifestyle lots all with stunning views and lake access.